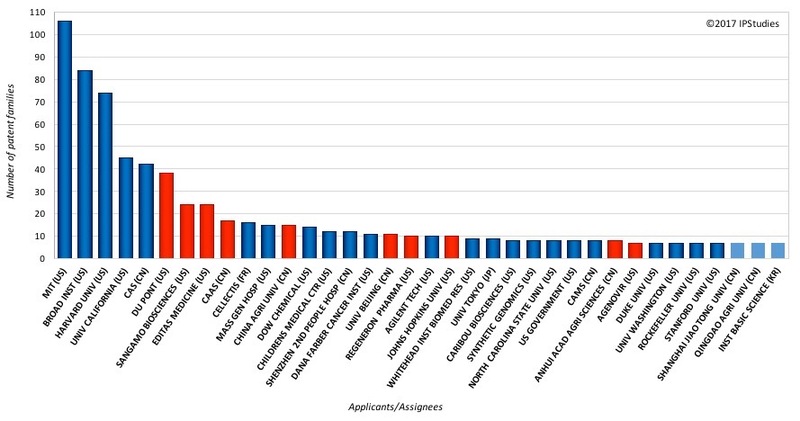 The CRISPR patent landscape kept on developing since February with more than 100 new patent publications in the past two months. We have now searched, reviewed and categorized 1340 patent families in our latest CRISPR patent analytics data set. The past few weeks have also brought further legal uncertainty on the CRISPR pioneering patent battles as University of California, University of Vienna and Emmanuelle Charpentier have jointly appealed against the USPTO decision in favor of maintaining the early Broad Institute patent in the US, while they have been granted their first European patent, still subject to an opposition period at the European Patent Office. Our CRISPR patent analyst will be speaking about our findings out from the CRISPR patent landscape this week at the Cell Line Development and Engineering conference in Amsterdam. Stay tuned! You can order online your copy of our 2017 CRISPR patent analytics report including database access to the whole, historical, classified CRISPR patent landscape data so you can browse and focus on the specifics of your technology and application interests. You may also subscribe to monthly CRISPR patent database updates, thanks to our new partnership with Centredoc, the Swiss watch industry knowledge management cooperative. Download our CRISPR patent landscape sample, contact us for a video demo of the database functionality or visit our 2017 CRISPR patent analytics report to learn more!